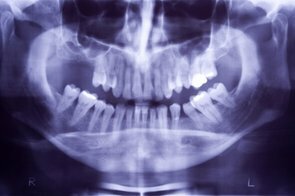 When you lose teeth and do not pursue a method of replacing them such as through implants or bone grafting, the jawbone deteriorates where the tooth socket once was. This makes it difficult-- and in some instances, impossible-- to receive dental implants or dentures later on. In such cases, however, there is good news: your dentist can perform a procedure known as ridge augmentation in order to restore the bone structure needed for other restorative procedures such as dental implants. This process involves lifting the gum from its ridge to expose the bone area in question, after which your dentist will use a bone substitute to fill the defected areas. The ridge augmentation greatly improves the appearance of the mouth and increases the chances for success with the implants-- with ridge augmentation, they will last for years and years.